Sarah Vowell, Springing into Action Vowell's new book, Assassination Vacation, is about her visits to the gravesites and monuments honoring Presidents Lincoln, Garfield and McKinley. Vowell also voiced the character of Violet in the animated film 'The Incredibles.' This story was originally broadcast on April 20, 2000 and Sept. 16, 2002. 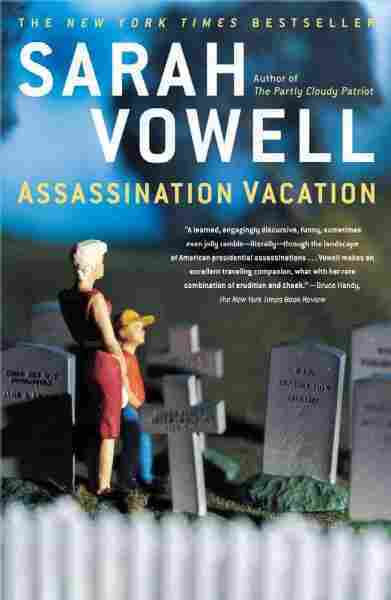 Vowell's new book, Assassination Vacation, is about her visits to the gravesites and monuments honoring Presidents Lincoln, Garfield and McKinley. Vowell also voiced the character of Violet in the animated film 'The Incredibles.' This story was originally broadcast on April 20, 2000 and Sept. 16, 2002.